When looking to invest in buy to let property, you need to give careful consideration to how you will fund the purchase. Buy to let mortgages are commonly used, but are not always an option depending on the circumstances. In all of these circumstances and more, a bridging loan can be the ideal solution. Bridging loans are a type of short-term finance that can usually be arranged much faster than a mortgage, while still allowing you to borrow similar amounts. Loan terms for bridging finance tend to be 1-18 months, although longer term borrowing may also be possible. Bridging loans can also usually be secured on property that would not be considered mortgageable e.g. a house with no functional kitchen or bathroom. Bridging finance is also commonly used in situations where a homeowner wants to purchase a new home before selling their old one e.g. if they want to rent the old one out. Using a bridging loan for buy to let property can therefore allow you to move faster on opportunities and/or proceed when you would otherwise have to let an opportunity go by. To see what sort of deal you could get on a bridging loan for buy to let property, try out our bridging loan calculator or get in touch using the contact form on the right or by calling 0117 313 6058. Although bridging loans are a fast and highly convenient way to borrow, they also tend to come with higher interest rates than some other types of secured borrowing, such as a mortgage. It is therefore a good idea to plan to repay your bridging finance as soon as you possible can to keep your costs down. If you are a landlord or prospective landlord looking for a way to finance the purchase of a buy to let property, our free bridging loan calculator is a great place to start. Simply share some basic details about your borrowing needs and financial situation and we will do the rest, matching you with the best value bridging finance deals from across the market. 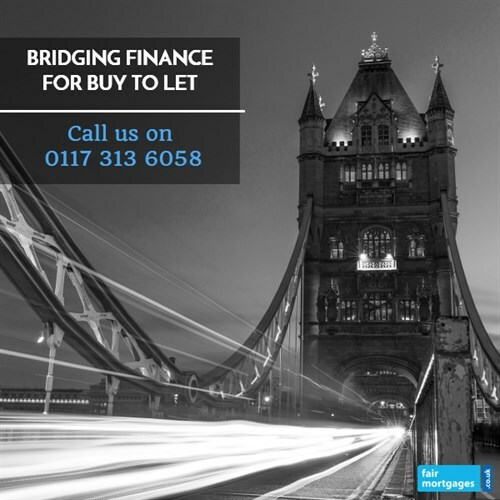 Looking for a bridging loan for buy to let property? Get in touch with our friendly expert team of loan brokers using the contact form on the right or by calling 0117 313 6058. Call us for a FREE initial conversation on 0117 313 6058 about bridging loan for buy to let options or request a callback.